The queue was long on a Saturday during lunch with a relatively long waiting time to be expected. This stall is manned by an elderly couple, the auntie is taking the orders and collecting payments, uncle is doing the cooking. It was awarded a 6-chopsticks by Makansutra and that means this is one of "die-die-must-try" stalls. 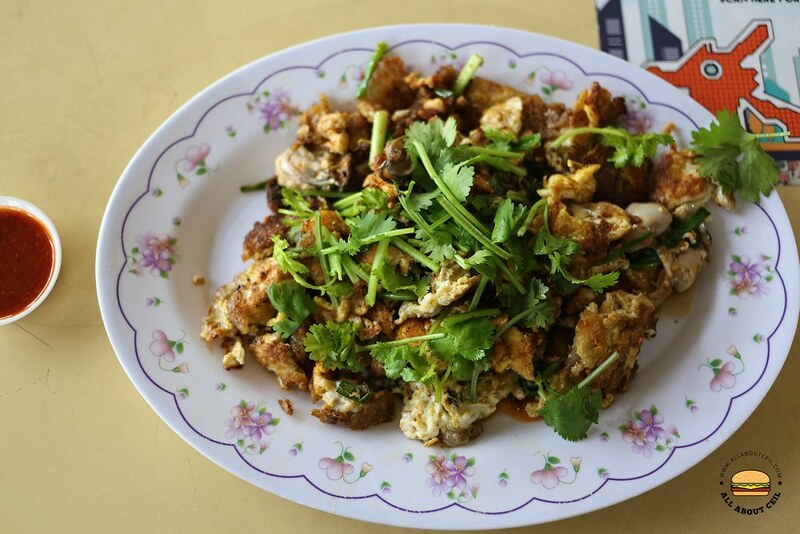 This is one of the most talked about Fried Oyster Omelette stalls and is amongst one of those popular recommendations. 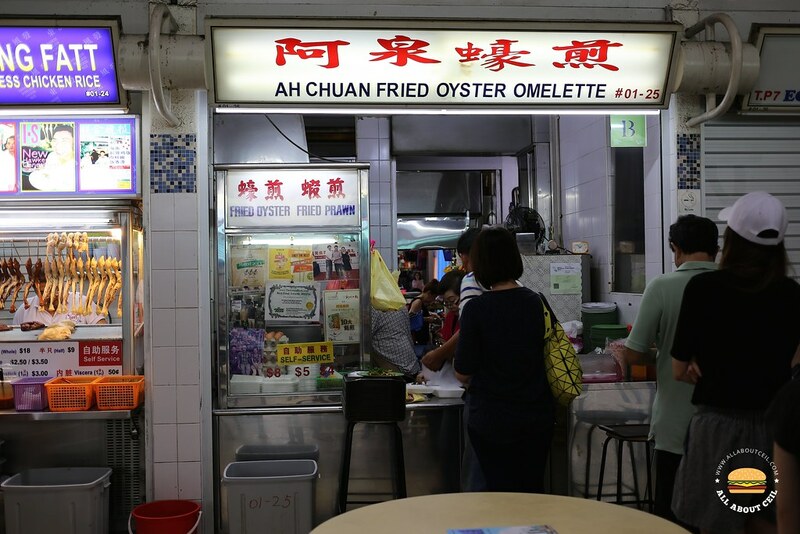 Fried Oyster Omelette is the only dish serves at $4, $5 and $8. I decided to go with $8 to share with my dining companion. Though not a huge portion, it served with a generous amount of egg and quite a few pieces of plump oysters, garnished with coriander and served along with chilli in the saucer. I was not disappointed as it met my expectations though not exceedingly but this is a good plate of Fried Oyster Omelette nonetheless. I've found the authentic Penang char kway teow you've been looking for. Its at 504 Jurong West Street 51. Operating under the name 同济. He's from Penang and his version is no different from those you'll find in the streets of Penang. A Malaysian couple had recommended him to me when we shared a table at Malaysia Boleh food court. The lady was from Penang. She says she only eats from this stall. It was previously at 959 Street 91 and I happened to visit him on the final day of business there. He's very meticulous in his cooking. I was able to observe his fry his ckt at the old stall as the stove was just at the front. Instead of just cracking the egg and mix it with the other ingredients. He would drizzle some soy sauce on it first. But his chili was nicer when I tried at the new location. Thanks for the info. I am a big fan of Penang Char Kway Teow and will definitely go check it out.